Tracy Bauman is an administrative associate at the American Institutes for Research (AIR). 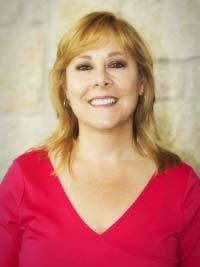 She has over 24 years of combined human resources and administrative assistant experience. In her current role she provides support services for the Knowledge Translation for Employment Research (KTER) and the Center on Knowledge Translation for Disability and Rehabilitation Research (KTDRR) where she leads all administrative work for projects in this unit including proposal document development, database management, report preparation and distribution, record keeping, and subcontractor invoicing. Bauman works closely with staff and directors coordinating logistics for all program meetings, workshops, conferences, advisory board events, and related staff and consultant travel. Prior to joining AIR Bauman was SEDL’s (merged with AIR January 1, 2015) human resources assistant, where she coordinated all aspects of job postings and job applications. She also led monitoring of time sheets and leave requests for accuracy across the organization and coordinated with payroll.